In New York City, this Wednesday – April 11th – African Film Festival, Inc. and the Film Society of Lincoln Center will present the opening of the 19th New York African Film Festival with a reception and a screening of Mama Africa – a 90 minute tribute to the late great Miriam Makeba by Finnish film maker Mika Kaurismaki. 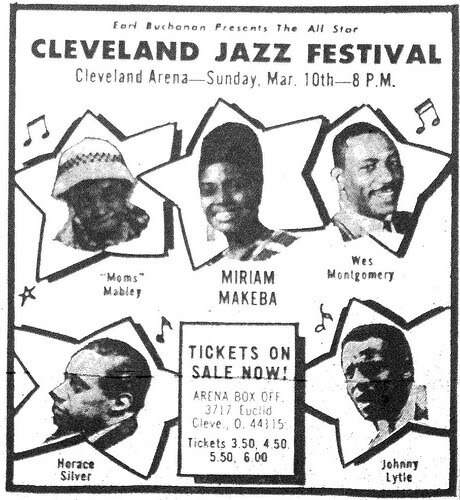 Miriam Makeba was the first African musician to win international stardom, one whose music was always anchored in her traditional South African roots, as was a ceaseless message against racism and poverty. Following her 1956 hit record ‘Pata Pata’ – for which she received a recording fee of few dollars and no royalties – Miriam took on the lead role in the Broadway-inspired musical King Kong. 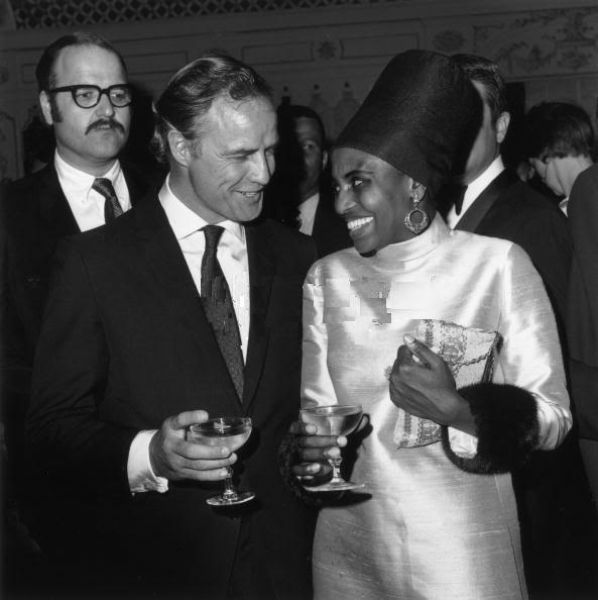 It took her to London and then, with the assistance of Jamaican singer and radical Harry Belafonte, the United States. However, when she attempted to return to her homeland to attend her mother’s funeral the apartheid government of the day rescinded her passport. 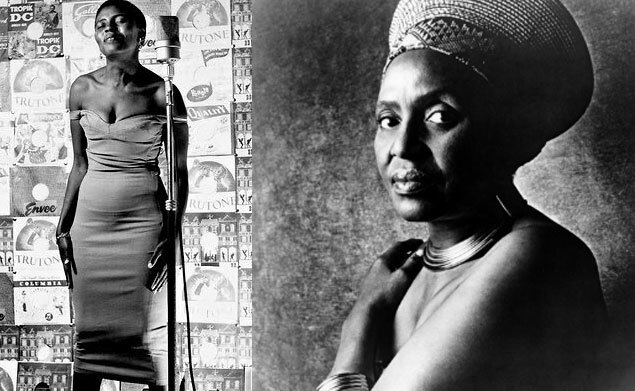 Forced into a life in exile Miriam Makeba dedicated her life to exposing the harsh realities of the regime. Singing for US President John F. Kennedy and Marlon Brando, performing with Harry Belafonte, Nina Simone and Dizzy Gillespie, being married to bandleader & trumpeter Hugh Masekela and then Black Power activist Stokely Carmichael, her life was a tumultuous one in which she always stood for truth and justice on behalf of all African people. Following his release from prison on the 11th February 1990, Nelson Mandela persuaded Makeba to return to South Africa, which she did in June that year on her French passport. She worked with Graça Machel-Mandela on the plight of child soldiers and children with AIDS/HIV, attended the UN as a Goodwill Ambassadorand continued to record and perform Sadly, after collapsing at a concert in November 2008 in Italy Miriam Makeba at the age of 76. 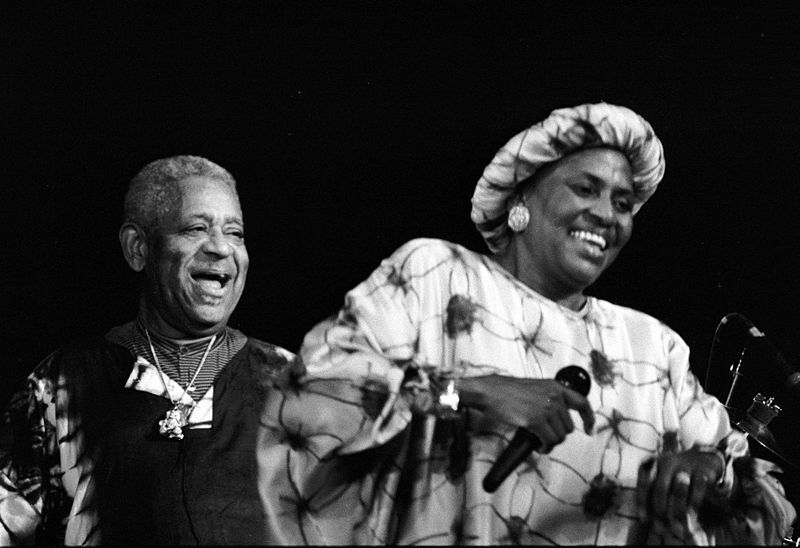 In concert: Miriam Makeba & Dizzy Gillespie (1991). Along with a huge body of recorded music, this documentary, which traces her life and music through more than 50 years of performing and activism, will hopefully help ensure her place in global history as an artist whose life was underpinned by a commitment to equal rights and justice for the oppressed people of the world and I can’t wait for a big screen showing here in London town! Check out Harry Belafonte’s ‘ My Song – A Memoir’ … word from Jamaica is that it’s a compelling read that pulls no punches! 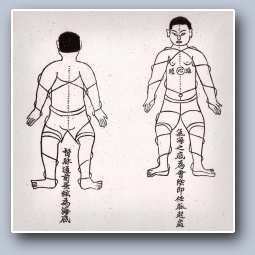 This entry was posted in Deep stuff, Is That Jazz? and tagged 19th New York African Film Festival, arlon Brando, Dizzy Gillespie, Documentary Film, Graça Machel-Mandela, Harry Belafonte, Hugh Masekela, King Kong, Mama Africa, Mika Kaaurismaki, Miriam Makeba, Nelson Mamdela, South Africa, Stokely Carmichael. Bookmark the permalink.